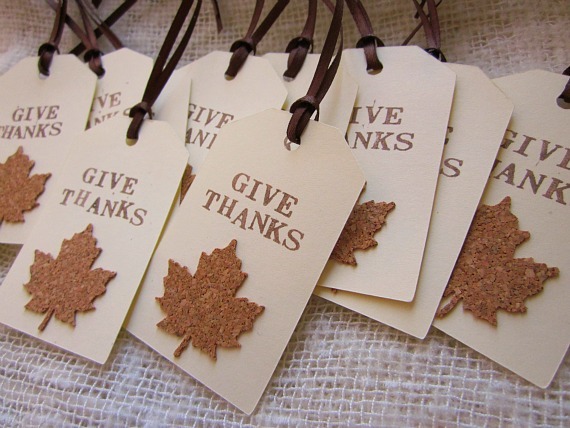 Embellishing Life: Cork tags and a give thanks success! Thanks so all who joined in the Craft Catwalk! There's still a couple more hours left if you'd like to link up! I added another Thanksgiving tag in my shop. I punched the leaf from cork. I love using cork in crafting. It's my newest crafting obsession. We are 2 days into our Give Thanks countdown, and it is a hit! Ladybug is so excited to fill out our card at dinner. She's had some good response, too. I'll share some with you at the end of November. 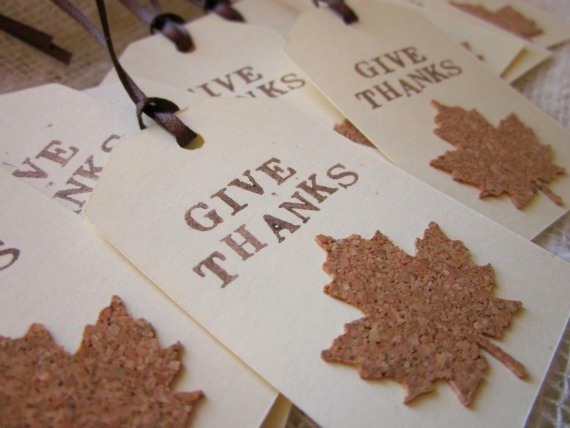 Jellybean Junkyard featured Give Thanks boards that all of us copycats made. They sure are cute! Have a happy Wednesday all! Love those tags! So cute...The Christmas tree toppers are adorable too! I love these gift tags & lots of others in your shop! I'm trying to convince myself that I need them somewhere...? :) Will you be doing Christmas tags? Maybe some silver and cobalt blue themed ones ;) I usually buy the nice ones from Hobby Lobby... but I'm gonna try to get that stuff off of etsy this year!